On a normal summer day I would quickly shower, go through my skincare and oral care regimens, then moisturize, and pull my hair back in a bun. But on those fun summer days when I have things planned, I add a few extra steps to the regimen. Along with getting all squeaky-clean, I make sure to grab for my new favorite Tone® Brazilian Glam Body Wash, and lather up! Not only does this body wash wake me up instantly with its invigorating aroma, it instantly lifts my spirits. The warm inviting tropical fragrance makes me feel like I’m at my favorite place in the world--- the beach. 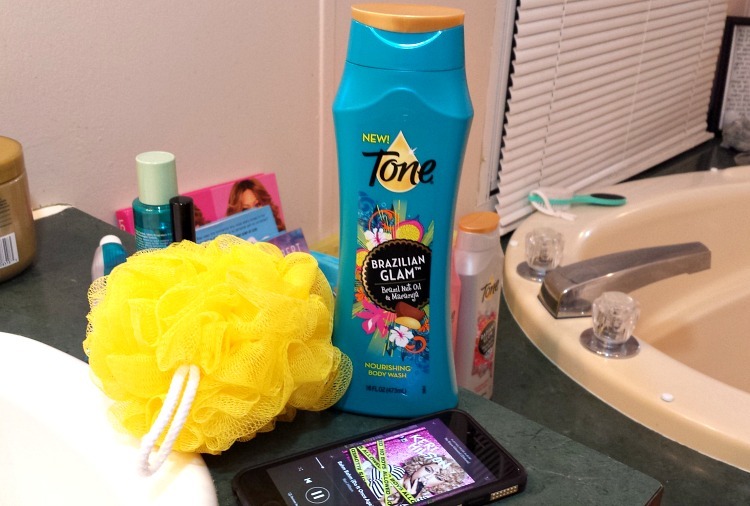 And since I'm already being channeled to my favorite place, I take my time in the shower lathering up with the body wash and sing along with my get-ready playlist. 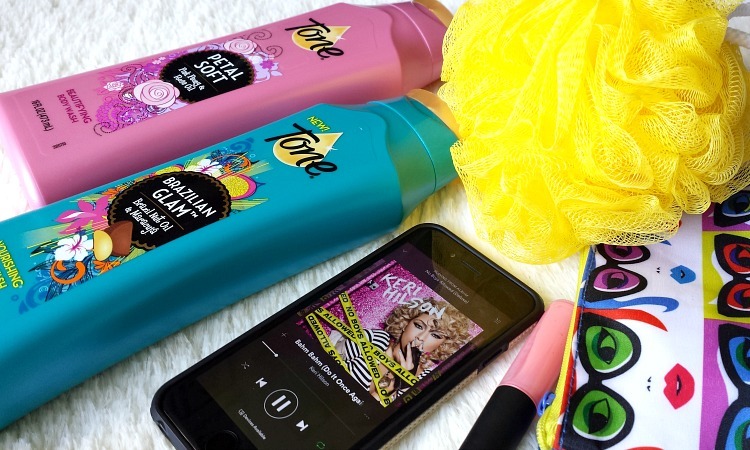 While I sing loudly in the shower to my favorite pick-me up tunes, I lather up with this nourishing body wash to make the process of getting ready feel like an entire experience. Not only does the smell make me feel luxurious, it makes me feel relaxed and calm. It sets the tone for a beautiful day, indeed. Just as I spend a few extra minutes in the shower singing my heart out, I also take the time to do my makeup. Though I don't do a full-face everyday, I make sure to play-up my best features before heading out. 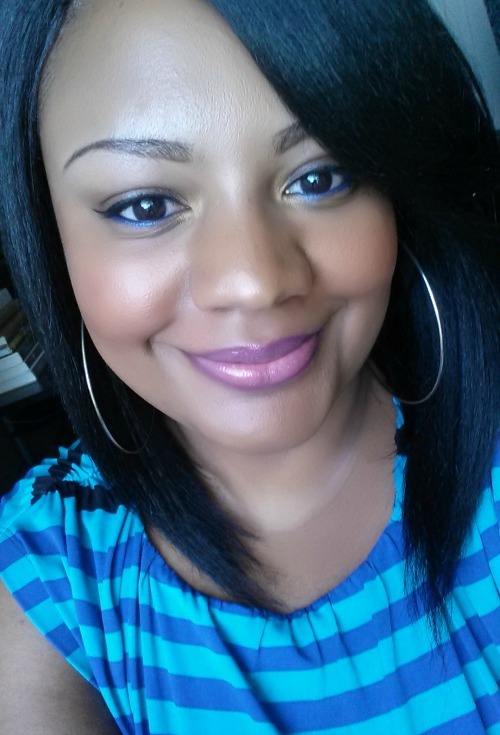 To add a little fun to my normal cat eye and neutral lip, I added a vibrant blue to my lower lash-line and a shimmery gold to my tear-duct area. Doesn't it add the right amount of glam to this otherwise average look? Once my makeup is just right and my hair is in place--- I am ready to get dressed! 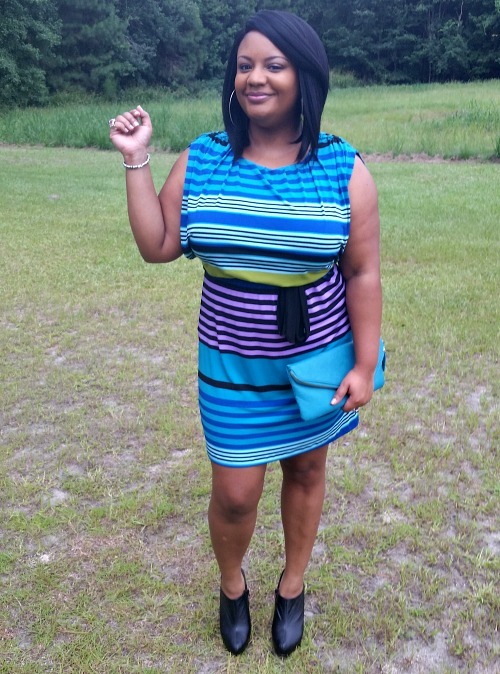 The perfect look for my summer day out almost always includes a flirty dress and wedges. A cute dress does a great job of showing off legs while wedges are the next best thing to heels. They accentuate your legs with the extra comfort of a platform. Once my hair, makeup, and style are pulled together, I feel like I can head out into the world as my best self. 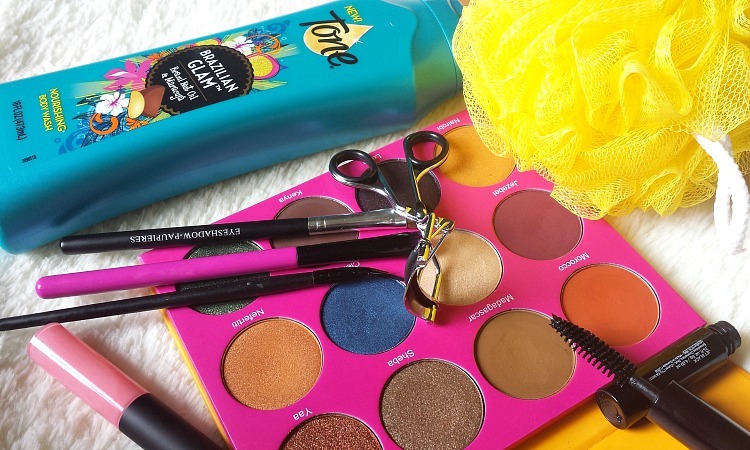 All I need is some good music, a quick + easy makeup routine, and exhilarating body wash scents like Tone® Brazilian Glam and Petal Soft to prepare me for a fun summer day! 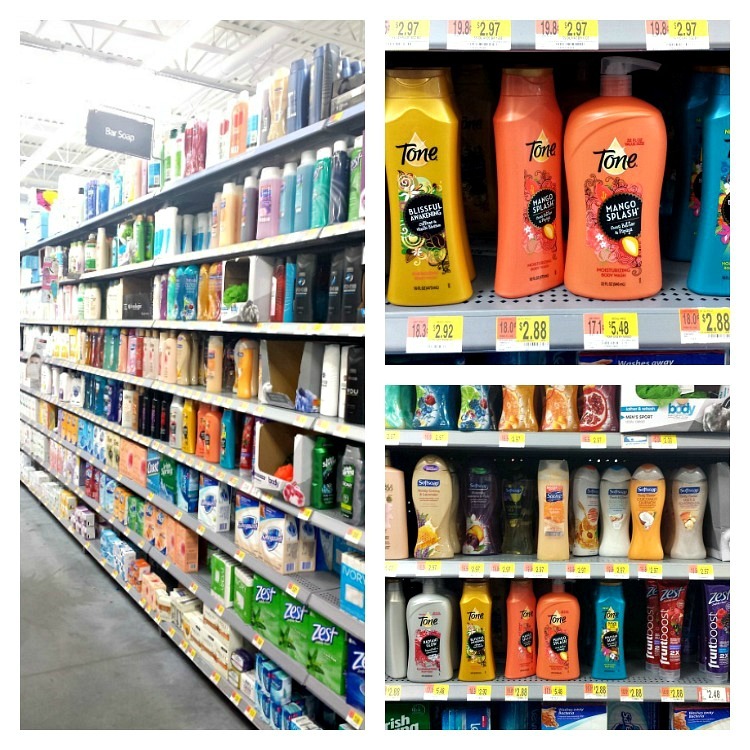 And to make sure I don't soon run out of my Tone® Body Wash, I always head to my local Walmart and stock up! Right now, you could earn $2 when you buy two of these Tone® Body Washes. Not only are they super affordable and invigorating, buying them actually puts money in your pockets! Sounds like a win-win to me! How about you? How do you #FindYourTone? How do you prepare for a fun day out this season? 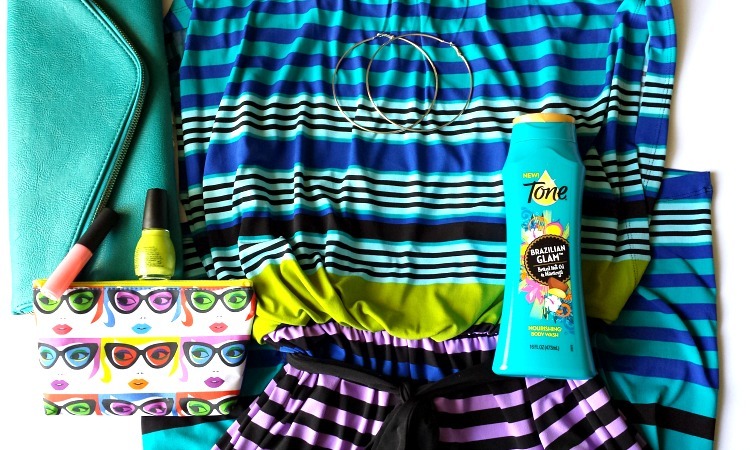 Have you tried Tone® Body Wash?